When you want your dreamed home to take form, you need to get in touch with multiple professionals such as plumbers, carpenters, builders and electricians. Before building your new home or remodel rooms, you might wonder whether to get in touch with all of them by your own or leaving these responsibilities in hands of a general contractor. There are plenty of licensed contractor near you in Derby (Derbyshire) keen to lead your projects an offer a great global service, either you are interested in residential construction or you need to find commercial contractors. Some people can’t difference a contractor from a builder. Although sometimes their work can bear a resemblance, the difference lies in the fact that although a builder takes over construction task like roofing and foundation, he doesn’t handle mechanical work such as plumbing. A home contractor leads the team of subcontractors. You can measure his value by checking other projects, his efficiency to handle the entire project and checking whether he has a good relationship with talented subcontractors. Hiring subcontractor, taking over all the paperwork and paying them. He also schedules their work. Keep you up to date about your house improvement. 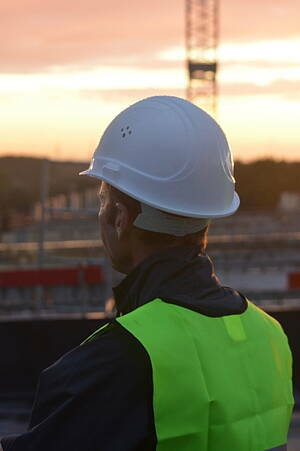 Why should I hire new construction contractor or contractor for remodelling in Derby (Derbyshire)? He takes responsibility for everything and although he keeps you informed, he will filter the information taking stress away from you. As he knows better professionals your project is more likely to turn out right at once. They guarantee quality materials and get them at a cheaper rate than you would do. They have checkable license and all permits up to date. All his subcontractors have insurance. At Infoisinfo our goal is giving you a hand as many times as possible. This time we want to ease your search of a contractor, so we offer you a very complete contractors directory. Here you could find independent contractors as well as the best construction companies in Derby (Derbyshire) with their contact details such as phone numbers, address or websites. If you find it useful, have a look at the comments and valorations that are also available in the web.